Fans flocked at the SM North EDSA last Saturday, November 4, 2017 to witness the opening of the new OPPO concept at the Cyberzone and join the carnival roadshow. But more on these, they want to mingle with the Hashtags member Ronnie Alonte. Ronnie is one of the celebrity endorsers of the said mobile phone brand. Together with the actress Alex Gonzaga, Ronnie graced the said roadshow. 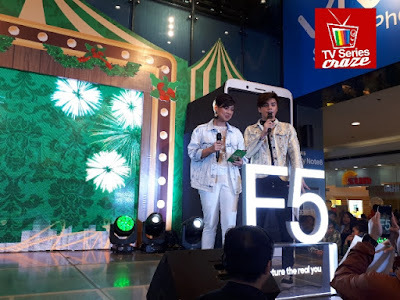 The Carnival Roadshow event was inline with the in-store availability of the OPPO F5 Smartphone. Different activities were conducted to serve the costumers. What more, one lucky costumer who completed all the activities in the venue won a brand new OPPO F5 mobile phone. Aside from these activities and surprises from OPPO, fans and costumers were serenaded by Ronnie. During the event, Ronnie sang two romantic OPM love songs. Aside from that two song numbers, Ronnie led the games participated by his teenage fans who attended the event. 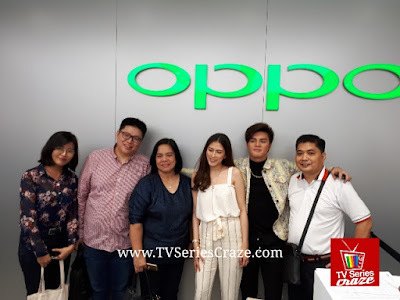 Meanwhile, the other celebrity endorsers like Sanya Lopez and Coleen Garcia led the other OPPO roadshow held at the SM Megamall on the same weekend.